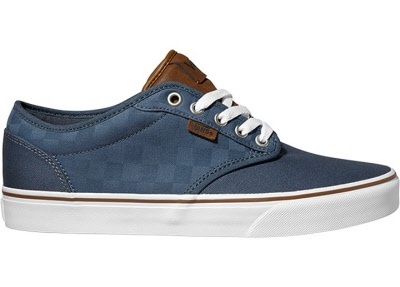 << Back Vans. ATWOOD Canvas. SLATE-Check. Sizes: 13. 15 . 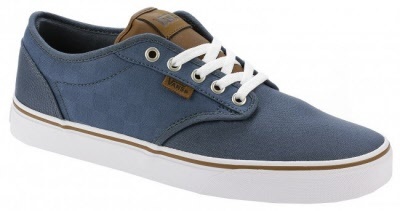 Ultra performance shoe, Subtle embossed checquerboard design on sides of shoe. Soft Action Canvas uppers, fully cushioned inners, padded tongue, lightweight gum rubber waffle sole. Great looking casual trainer. New hybrid skate trainer. Not as chunky as the padded ones but a bit more than the Original canvas styles. Such a cool shoe. 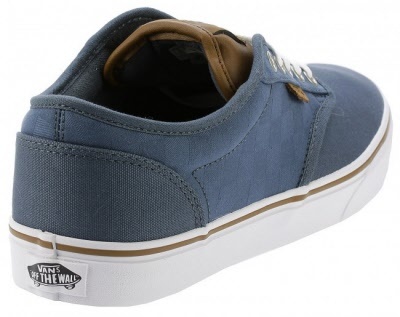 Vans gum rubber waffle grip sole.